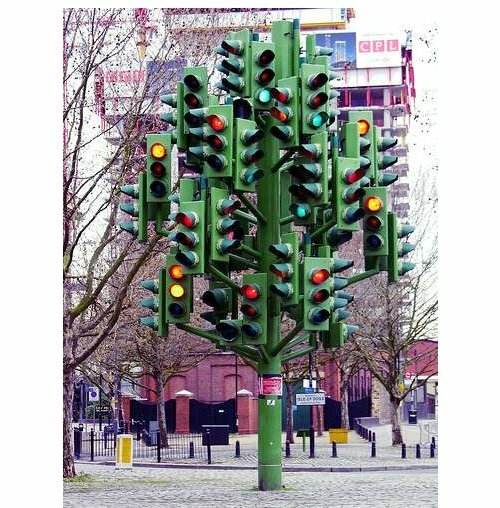 Image credit: Traffic Light Tree, sculpture by Pierre Vivant at roundabout in London. When Riley, who is diagnosed with schizoaffective disorder, goes off his meds it’s usually coincidental with a binge of heavy drinking. His mother, Maika, a parent / contributor to Behind The Wall tells us that during these phases he will disappear for weeks or months at a time. She wrings her hands, fear and heartache are constant companions; she wonders what will happen to him, what dangers he will confront during these distressing episodes. Riley’s past is marked by a pattern of disappearances, psychosis, and homelessness, often resulting in forced hospitalizations or jail time for public drunkenness and fighting. Once, he was arrested after an incident occurring while psychotic and was jailed for nearly six months where he experienced untreated psychosis, mistreatment, and developed other physical health issues. Riley is dually diagnosed, a combination of two brain disorders, one of which includes addictions. It’s a complex and confounding mix that for many predicts a life of institutions and early death. Our dually diagnosed loved ones bounce from rehabilitation facilities to hospitals, from homeless shelters to sober living, from jail to group homes, and back to rehabs. Many drug and alcohol rehabilitation facilities claim qualifications to treat patients with dual diagnosis. What this may actually mean in reality is they have a nurse on staff dispensing medications prescribed by a staff psychiatrist. Some rehabilitation facilities employ a harsh, confrontational style designed to address the addictions. But confrontation is usually detrimental to people who live with mental illness because such interactions can cause stress, a well-known and primary trigger for launching a mental illness crisis. But where hospitals and residential facilities treat the mental illness, the substance abuse issue is often ignored. In one of our earlier blog posts, Just Another Friday Night in Lockdown, (July 26, 2013) a mother describes her experience with Scott, her dually diagnosed son who had been checked into a well respected ER hospital that treats many mentally ill patients experiencing psychosis. Having advocated for Scott through the many years of his illness, this mother knew that doing everything she could to support his sobriety was an imperative to getting him well and keeping him well. When the attending physician ordered an addictive drug, a benzodiazepine, to calm his mania, this mother protested, explaining how a benzodiazepine could trigger her son’s addictive brain and undermine his hard fought year of sobriety. She knew the drug Haldol alone would be enough to settle Scott, who hadn’t slept well for weeks. And yet, the doctor on staff simply ignored this mother’s request. … for the dually diagnosed, life can be fractured with education paths and careers constantly interrupted. For a person with dual diagnosis, illness management is challenging and treatments, when administered by medical professionals trained in one area of mental health but not both, which sadly, is often the case, becomes at odds. Because of these complexities, for the dually diagnosed, life can be fractured with education paths and careers constantly interrupted. The person with a dual diagnosis often feels isolated from community, society, and feels failure for the inability to manage both facets of their illness. And like Maika, the parents live with constant worry, fear, and grief. So, What Would Effective Treatment for Dual Diagnosis Look Like? Recovery looks different for each person with a dual diagnosis and it can be a long jagged journey. Maika wants her son to stay on his medication. She wants him to live at home where he will be safe and well fed. He won’t stop drinking but she asks him to at least use ‘harm reduction’ – that is, cut back on his alcohol consumption and stay on a good sleep schedule. She is grateful for every sign of progress and hopes one day he will be able to return to college or a part time job. In general, a person in recovery works with a treatment team and learns to manage symptoms. This includes good sleep hygiene, nutrition, exercise, and knowledge of one’s medications. The patient participates regularly in support groups and self help groups. Recovery may include independent or group living, or living with one’s family. He or she may be able to volunteer, work, or take college classes. She has sober friends and feels she belongs in her community. 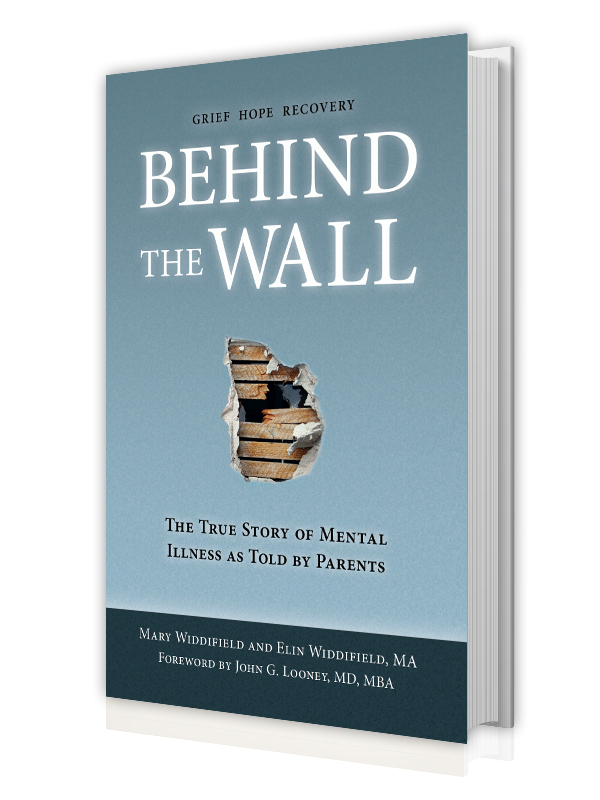 Parent / contributors to Behind The Wall have learned that being supportive and understanding of their dually diagnosed child’s complex challenges offers their best chance for recovery. And, there is hope. Drake, Robert E. and Kim T. Mueser. “Psychosocial Approaches to Dual Diagnosis.” Schizophrenia Bulletin, Vol. 26, No. 1, 2000. Drake, Robert E., Kim T. Mueser, Mary F. Brunette, and Gregory J. McHugo. “A Review of Treatments for People with Severe Mental Illnesses and Co-Occurring Substance Use Disorders.” Psychiatric Rehabilitation Journal, v27, n4, p360-374. Drake, Robert E., Susan M. Essock, Andrew Shaner, Kate B. Carey, Kenneth Minkoff, Lenore Kola, David Lynde, Fred C. Osher, Robin E. Clark, and Lawrence Rickards. 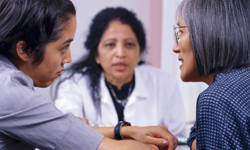 “Implementing Dual Diagnosis Services for Clients with Severe Mental Illness. Psychiatric Services, v52, April, p469-476. 2001. Regier, D.A., M. E. Farmer, D.S. Rae, B.Z. Locke, S.J. Keith, L.L. Judd, and F. K. Goodwin. 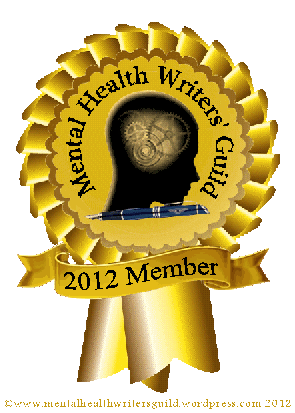 “Comorbidity of Mental Disorders with Alcohol and other Drug Abuse. Results from the Epidemiologic Catchment Area (ECA) Study.” Journal of the American Medical Association, v264, n19, p2511-2518. November,1990.